The invention of bicycle dates back to 1817. Though the core material used to build a bike at that time was wood, the bikes were completely different than what they are today. It wasn’t operated by pedal and chains, instead the rider had to push forward using the ground in order to get going. Yet people today complain how difficult it is to ride a bike, riding one from 1817 might change your opinion. After almost 200 years, there are few companies which have vowed to bring the lost art back. Modern technology has allowed to make these wooden bikes faster and lighter as compared to when they first arrived two centuries ago. Founded by Gunneweg and Piet Brandjes, was started 5 years ago and it has continued working since then. They make their bicycles from ash and walnut that are considered to be sustainable sources. The company also says that wooden bikes are more environmental friendly because lesser energy is required to make them as compared to steel bikes. “If you design from nature you will always create something that people feel comfortable with.” Jan Gunneweg and Piet Brandjes say. Another company giving competition to Bough Bikes is Renovo. It is a US based company and has been in this business for around 10 years. They prefer wood over carbon because they feel that wood is a lot better than carbon at absorbing vibrations. Denver, Colorado based company Connor Wood Bicycles makes its machines from American hardwood. 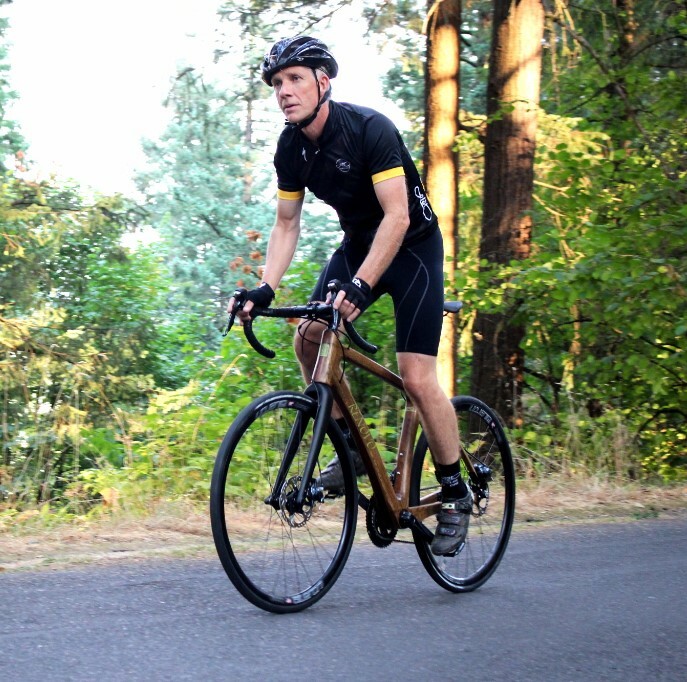 They believe that unique look and distinct feel is what makes a wooden bike more appealing. This Denmark based company is different than others in a sense that it uses both, carbon and wood, to build the bike’s frame. Coh and Co thinks it is easier to repair a wooden bike and perfect integration of steel with wood makes it totally waterproof. Such bikes have become pretty popular in Netherlands. Well it’s no shock since Dutch people love bicycles more than anyone else in Europe. Rabobank and Novotel are among the companies that have bought these bikes for their employees and guests to use. As a shared cycling scheme, these bikes are available at Amsterdam’s Schiphol Airport business park too. These wooden bikes don’t come cheap, the price is kind of justified as most of the work done is by hands. Average cost of a modern wooden bike is around $3000-$4000 so you won’t find them on every road soon. The high price is the biggest reason why the sales haven’t hiked. Renovo, a company in this business since 2007, has only managed to sell 1,000 pieces since its inception. Chris Connor, founder of Connor Wood Bicycles, says they only expect to sell 20 bikes this year. We won’t see a sudden decrease in price any time soon unless someone finds a way to build the bike under $1000. Bamboo can also be used to build wooden bikes. Boomers International supplies bamboo bikes to the people of Ghana. People in rural Ghana cannot afford expensive bikes. The company aims to provide a low cost travelling solution to the Africans. Beijing Bamboo, a social venture, teaches Chinese people to make their own bikes from wood. The aim behind doing this is to decrease the growing use of cars in China. Up until now, wooden bikes have not been considered in Pakistan. If produced using sustainable sources, Pakistan could earn a lot of foreign exchange since both, wood and related labor, is very cheap in Pakistan. Other than that, Pakistanis craftsmen are traditional;y experts in making almost anything out wood. If done right, wooden bikes is business that bring many jobs and help the country increase its foreign reserves. yup i am also waiting for his comment lol??? Attitude tha to celebrity kehlaya! He is getting a lot of attention after his interview. He surely, has come a long way. He s a budding star! what if some thing happpened to him? bikes are meant to be greenest and healthiest mode of transport, but making it from WOOD and destroying forests, does not make any sense. Making money at any cost is not every thing.